Yeah you can proberly see by the title i haven't seen all the Leslie Nielson Movies Out there So Consider this his top 5 movies he is best known for or top 5 modern movies he is in.It Does'int Really Matter What You Call this is My Appreciation to the Funniest Man that Ever lived. With the Scary Movie Humor it's really hit or miss some people love these movies, some people hate them and some people think that they are a danger to our culture.But what ever you think of these movie (Epic Movie, Disaster Movie etc.) you gotta love When Leslie Nielson is them.It Does'int Matter If the Whole Movie is Brainless Fartjokes as long as he is in it, showing off his Comedic Genius it's definitely worth a watch.In Scary Movie 3 Nielson Has my 2nd Favorite Part in a Scary Movie at the Mother Theresa Awards.My Favorite Part Coming Up Next. I've Said it Before but the Scary Movie Series is Really Love it or Hate and i'll say this again - I Love it when Leslie Nielson is in these movies.If your one of the 3 people in the world who read what i had to say about scary movie 4 then your proberly wondering what my movie scary movie part is. "The Speech" the speech nielson part is my favorite moment in all of the Scary Movies. Out all the Movies (Epic Movie, Scary Movie, Date Movie etc.) this is by far my Favorite.Mostly Because Nielson has alot of funny scenes and there are some funny moments thanks to a good cast.But Nielson Steals the Show as Always. This is where Leslie Nielson Shows off his Comedic Talent for the first time.All though it's Funny as Hell it gets even funnier when Nielson shows up.It's Hard to Give Justice to this Movie and Nielson's Performance so i Highly recommend you Watch it. THE FUNNIEST MOVIE I HAVE EVER SEEN!Sometimes I Wonder if this would even be 1% funny without Nielson.Genius Gags, Funny Story and Leslie Nielson IS THE FUNNIEST MAN THAT HAS EVER LIVED! 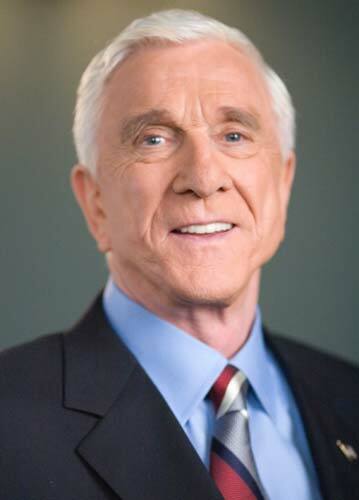 Leslie Nielsen was amazing and so damn funny I loved all of the Naked Gun movies and any movie that hes in. May he rest in peace.